Director of TEA VALLEY, Mr Lawrence Lim, wanted to bring value to his diners and believe that good food should be enjoyed by one and all at affordable prices. With that, we get to enjoy yummy Taiwanese food anytime here in Singapore! 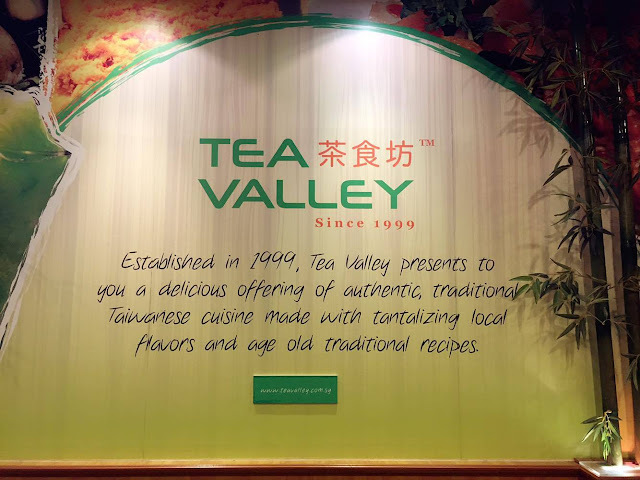 When i visited the restaurant 2 weeks ago, Mr Lawrence Lim also shared with us that the restaurant’s named ‘TEA VALLEY‘ because the business started out with selling only Taiwanese tea-based drinks. Its amazing how the far the business has come! TEA VALLEY at Downtown East is the very first outlet opened. It has more than 19 choices of mains and snacks including thick toasts. 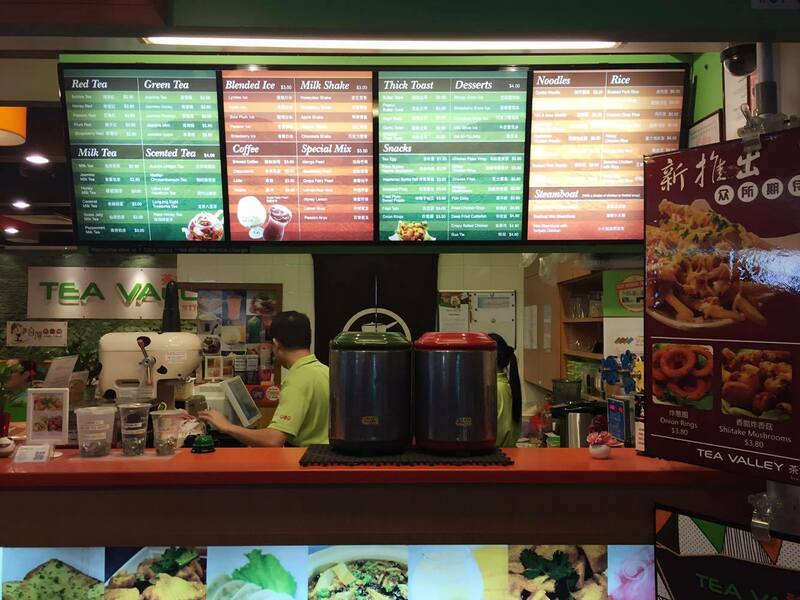 Apart from these, it has eight ranges of hot and cold beverages in 40 different flavors, made from high quality tea leaves that come all the way from Taiwan! Diners can pair their meals with special teas such as Rose Honey Tea, Lotus Leaf Hawthorn Tea, Longjing Eight Treasures Tea, milk shakes, blended ice drinks, bubble milk teas,and desserts like tropical and exotic fruit snow ices. The items in their menu are relatively wallet-friendly too! 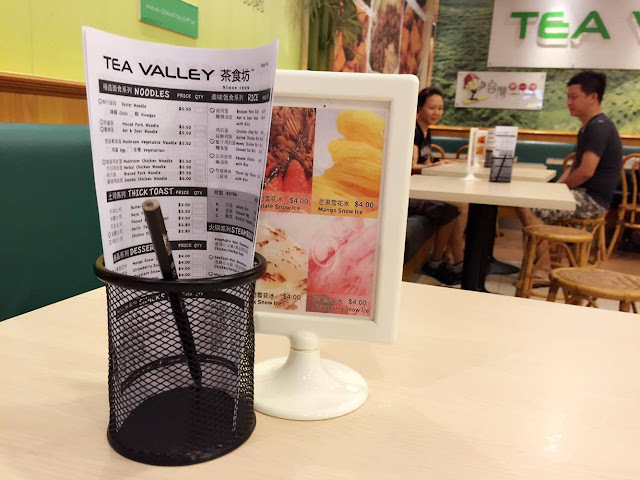 Loyal diners of TEA VALLEY at Downtown East who have patronised the outlet for the last 17 years enjoyed the variety of food and drinks so much that they requested for an outlet near where they work. 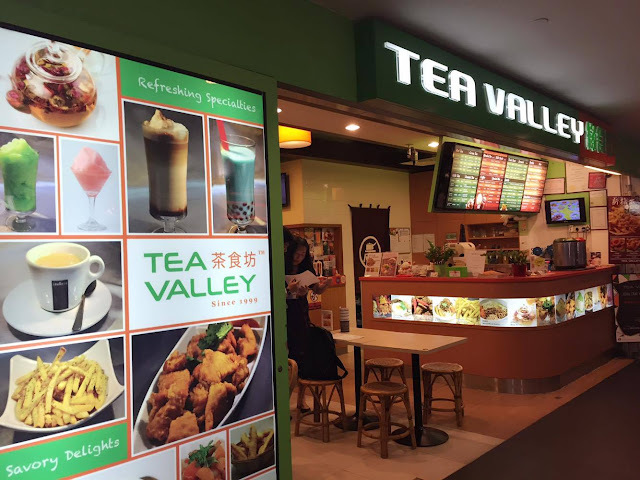 TEA VALLEY at Chevron House was thus opened a year ago in the CBD next to the Raffles Place MRT station. 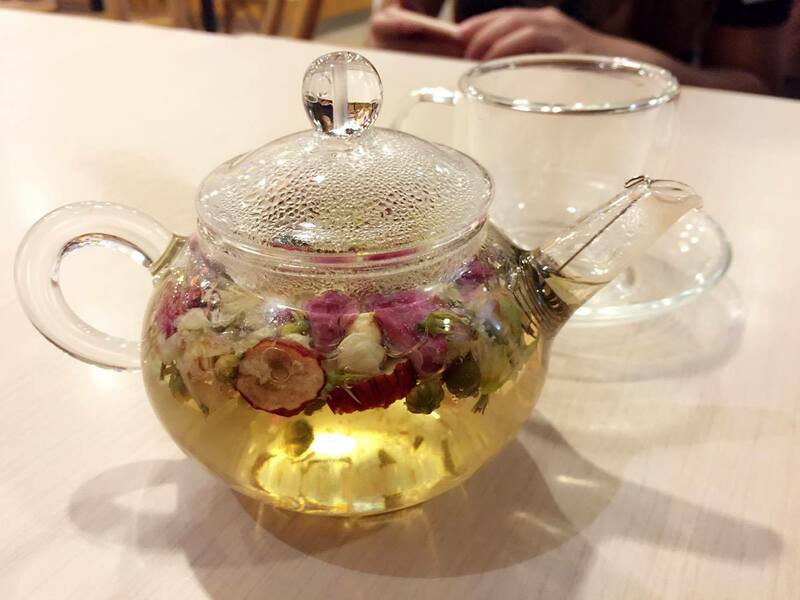 Hot Rose Honey Tea – served in beautiful glass tea pot and cup. This cup of tea is very soothing to drink before and after meal with lightly flavoured sweet aroma of rose petals. Rose Tea itself brings a lot of health benefits including reducing menstrual pain for females, improving skin, boosting immune system, sore throat remedy, digestive aid, weight loss! Jasmine Passion Tea (with white pearls) – Well-balanced, sweet flavoured tea-based drink. – Honey Lemon Tea (with white pearls) – for a more refreshing tea-based drink! 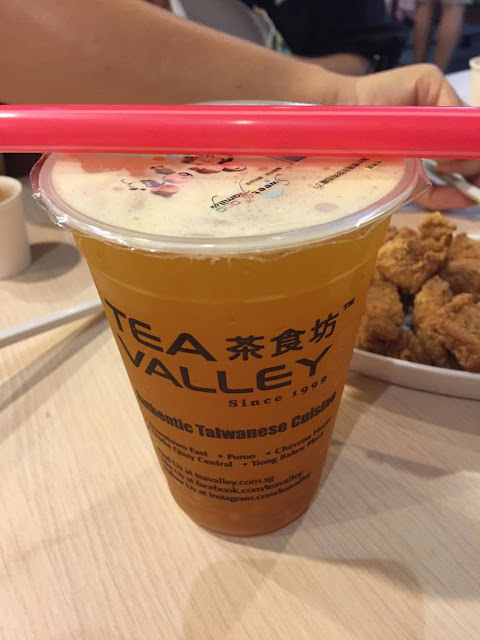 Jasmine Milk Tea (with white pearls) – Milk Tea from TEA VALLEY is a little different as theirs is less creamy yet still offers a sweet flavour and is pretty special! TEA VALLEY has been awarded Singapore’s Best Food as well as the Best Culinary Skills awards in the bubble tea and snack food category. 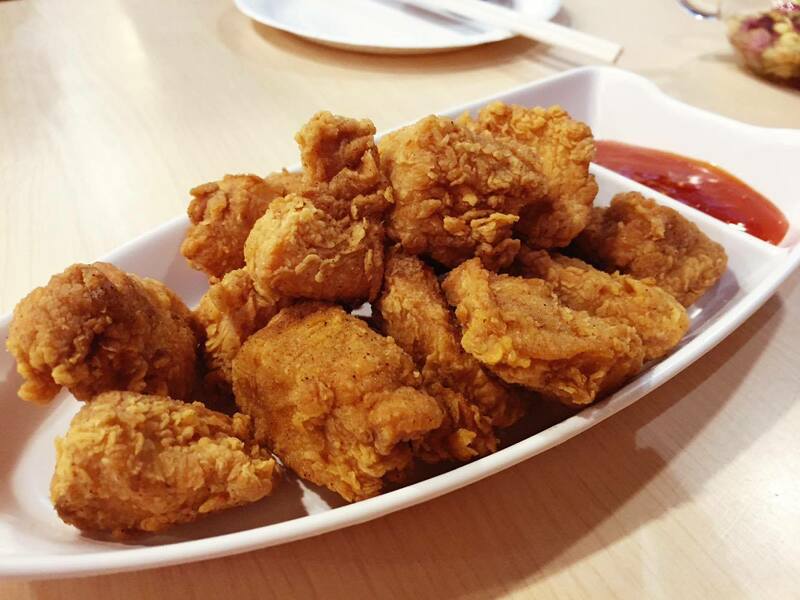 Crispy Salted Chicken – is one of my favourite snack from TEA VALLEY Enjoy the crunchiness to the last bite! 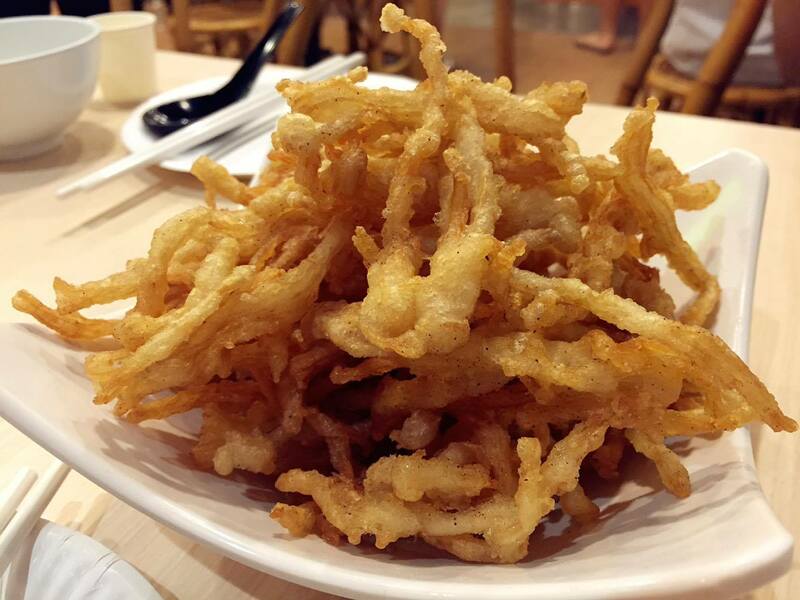 Fried Enoki Mushroom – is very addictive too! So crunchy! Deep Fried Cuttlefish – Another crispy snack in the menu! Cuttlefish lover will surely love this! Sesame Chicken – This is the next best dish served during my visit! 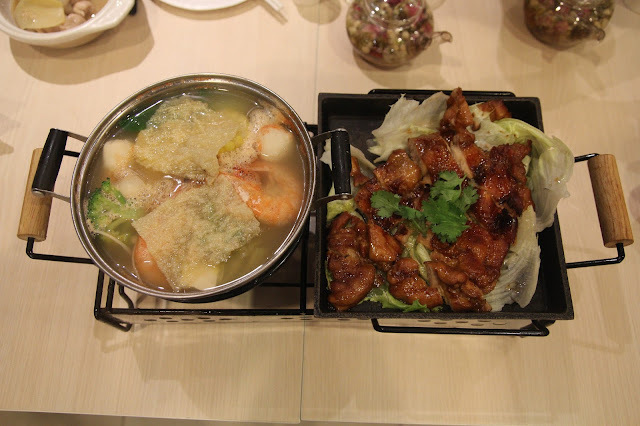 Tender chicken slices infused in the perfectly-cooked rich, flavourful broth! Simply delicious! Hot and Sour Noodle – Well-cooked noodles in hot and sour broth with delicate tofu pieces and sprinkle of fresh spring onion. A wholesome of many rip-roaring flavours mixed together – sour, sweet, and spicy! 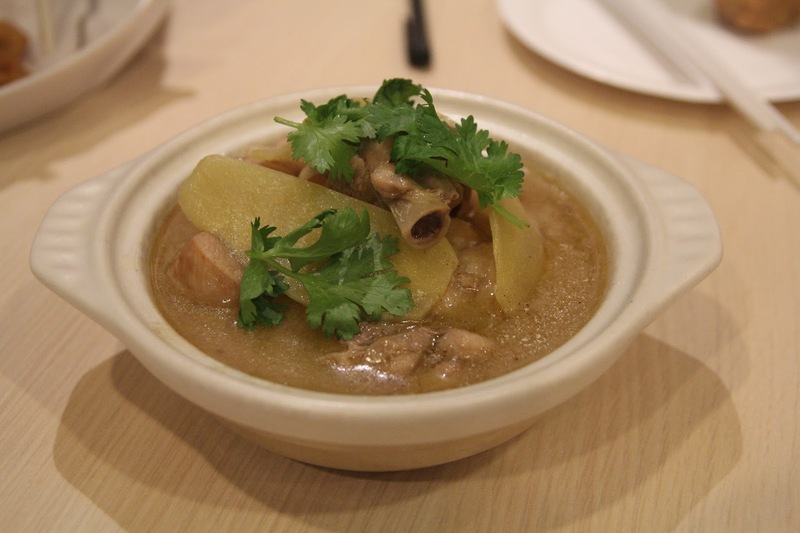 Overall a really hearty meal for me at TEA VALLEY! Thank you Mr Lawrence Lim and the media team for the wonderful session! 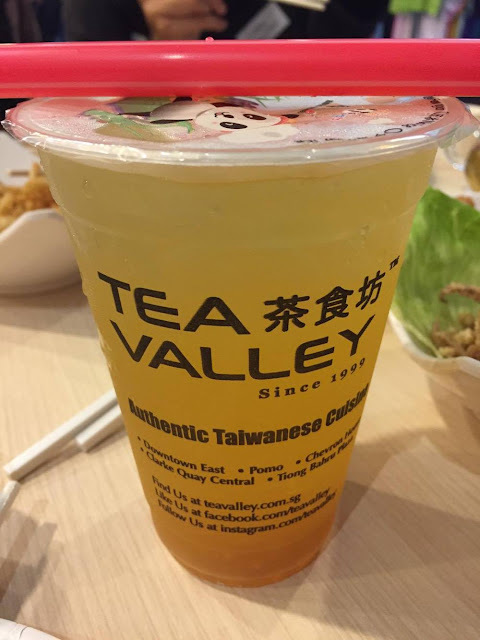 For more information on TEA VALLEY and their on-going promotions, do check out their website: http://teavalley.com.sg/. This entry was posted on Monday, May 9th, 2016 at 11:40 am	and is filed under Media. You can follow any responses to this entry through the RSS 2.0 feed. Both comments and pings are currently closed.